Shelley Bean: Design Team Wednesday- Anything Goes! Hello and happy Wednesday! I am kind of excited to share with you the fun projects created by my wonderful design team. I am also a little bit sad because this is the last scheduled offering we have planned. They all signed on for a 3 month run with me, and though I hope some will still want to participate in other challenges and such that I will hopefully have, this will be the last official Design Team Wednesday for awhile until I can regroup and find some more sponsors going forward. Our theme this time was "Anything Goes!". With that being said, they were allowed to create whatever project they wanted to as part of this Design Team Wednesday. So here is what I have to offer. 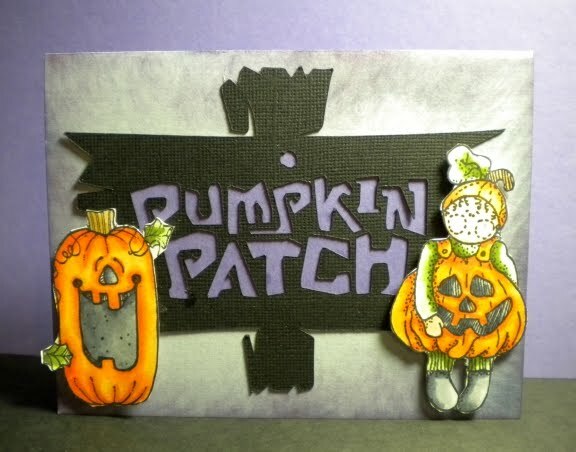 This is a fun card I made to usher in the fun filled fall creations I will be sharing with you over the upcoming weeks ahead. I have really been having a blast playing around with my new Cricut Cartridge, October 31st! 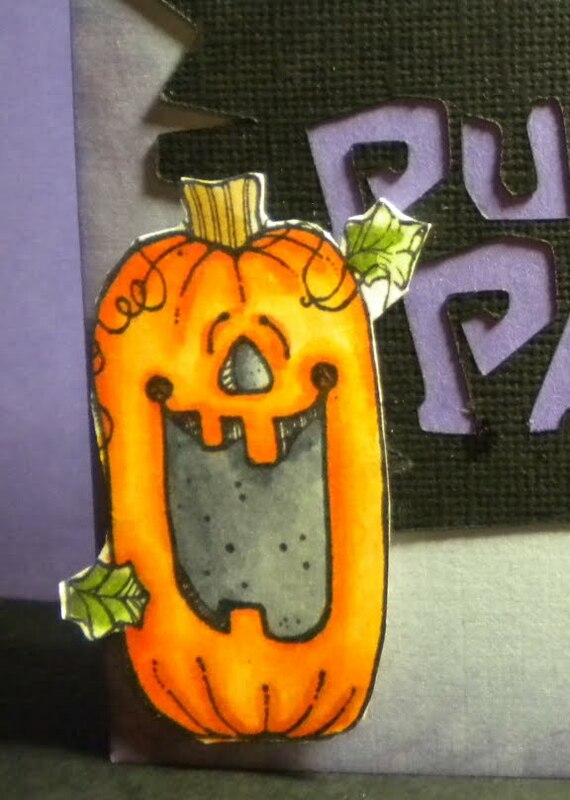 It is full of so many fun shapes for Halloween. In this one I decided to use 2 different stamps from 2 different companies. 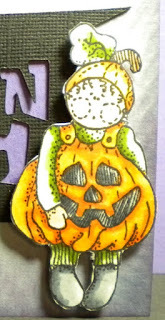 The Jack-o-lantern is from DJ Inkers, and the little pumpkin trick-or-treater was designed my me for Delrose Stamping. I thought it would be fun to put them together with my Cricut die for the pumpkin patch sign. Cute, huh? I wasn't happy that my camera over-exposed the pumpkin girl a little bit too much. Go figure...right? And now onto my wonderful design teamers! Please pop over and visit them because they also have something fun to show you on their blogs!! sweet! I LOVE this card! SO much personality!